Want to keep little ones busy while you get ready for Christmas? 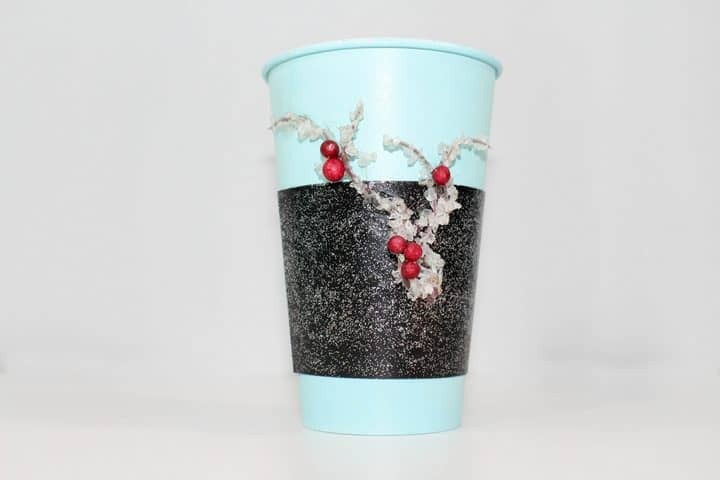 How about making this easy Christmas cup craft for kids. It is a great way to practise their fine motor skill. It is also great gift idea too. Nothing like a homemade Christmas gift to put a smile on someone’s face. Teachers, neighbors or friends will enjoy this. So head to your local Dollar store or Amazon and gather the supplies needed. The coffee cups are key to this craft. They need to be paper and not styrofoam. They also need to be plain and no print on them. It is super important to have this kind of coffee cup for this Christmas craft! 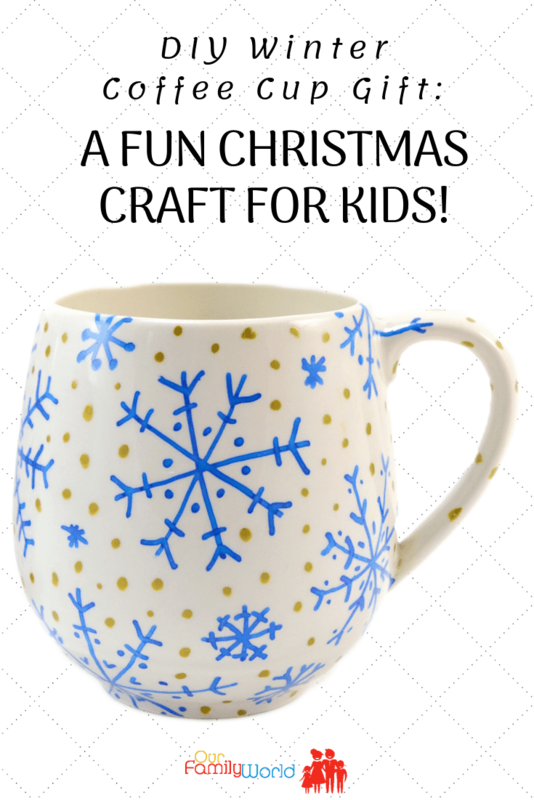 Who would you give this Christmas cup craft for kids to when it’s done? Tell us in the comments! Step 1. Set out your coffee cups and spray them with blue spray paint. Leave to dry. Step 2. Detach coffee sleeves and lay flat. Paint black and let dry. Step 3. Add a thin layer of silver glitter paint over the black coffee sleeve and let dry. Step 4. Lay out your embellishments. Here we used a branch with artificial snow and some styrofoam holly berries. Step 5. Wrap the coffee sleeve around the coffee cup and secure with hot glue. Step 6. Using the hot glue gun, position and secure your embellishments to the sleeve and coffee cup. Add glitter to the embellishments if you like. Step 7. Fill with tissue or shredded paper, small gifts and a kind note. Isn’t this a beautiful handmade Christmas craft? Make sure to help little hands when needed. Handling a glue gun is not easy for them. 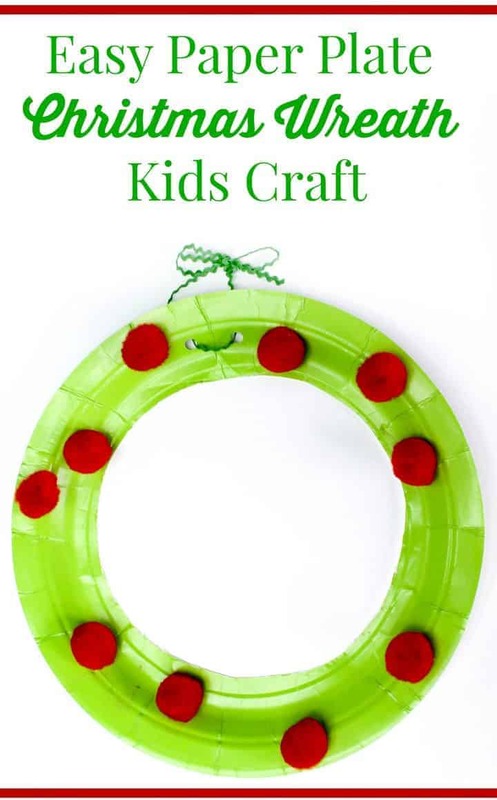 For other Christmas craft ideas for kids, consider making this paper plate Christmas craft for kids. It is perfect for toddlers. For the Disney Frozen fans, make these Christmas crafts and have fun. This is such a pretty gift for the kids to make for their teachers. I know I would love to have this given to me. What an adorable project for a little one to make.. This is such a great, inexpensive gift to give teachers or family members and could also be filled with some goodies to. I just love this. The cup is so pretty! 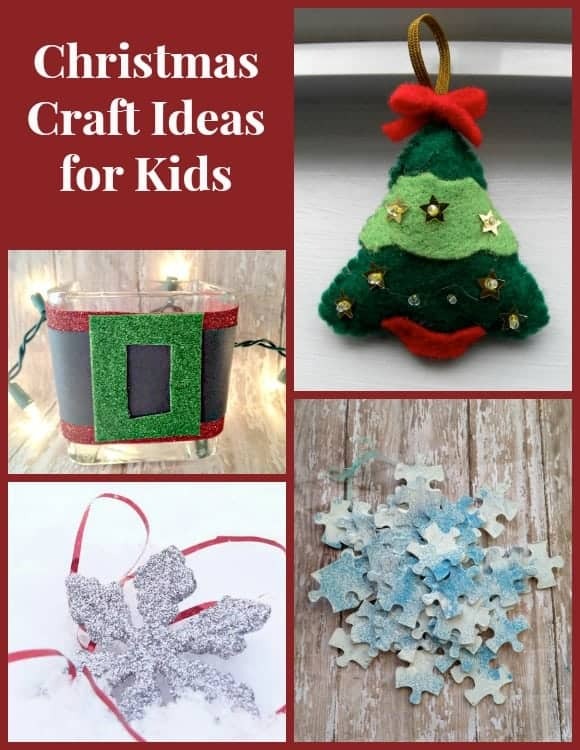 I love the idea of getting kids crafting for the holidays! I love the wreath. There are so many great ways to decorate it. I will have to make one for our door. This cup craft is a great idea. I will have to try making these with my friends little ones the next time they visit. This is so cute, such a pretty gift and very thoughtful. I know lots of people who would be thrilled for this one… Especially teachers! What an awesome craft. These would be perfect for filling up for teachers or Sunday School teachers. Bookmarking this for the kids. Right up their alley! Very cute idea. I may take your idea and have my Grandson help me with some cups. I love to make sure I keep him busy when he comes to visit. What a cute and creative idea. I will have to do this with my niece and nephew. No gifts are more meaningful than those handmade by kids. Love those coffee cups. They’re adorable! We are planning a Christmas party for our homeschool friends. Some of the children are younger, so the wreath idea will be great! Even the older one will enjoy. Thank you for the ideas! How fun. It’s a perfect gift for a teacher. I know my one daughter’s teacher would love this so we may have to make it for her! That is an awesome craft idea for teachers. Love it! They’re all so darn cute, and I’d happily work on any of them with the kids! That first cup was so cute!! Great ideas! This is such a cool idea. I sure like that cup a lot! What a great way for the little ones to “help”! And anyone who receives one of those homemade cuos is going to absolutely love them (no matter what gift is or isn’t in there). My kids would give those to thier grandparents.